Calling all animal lovers! 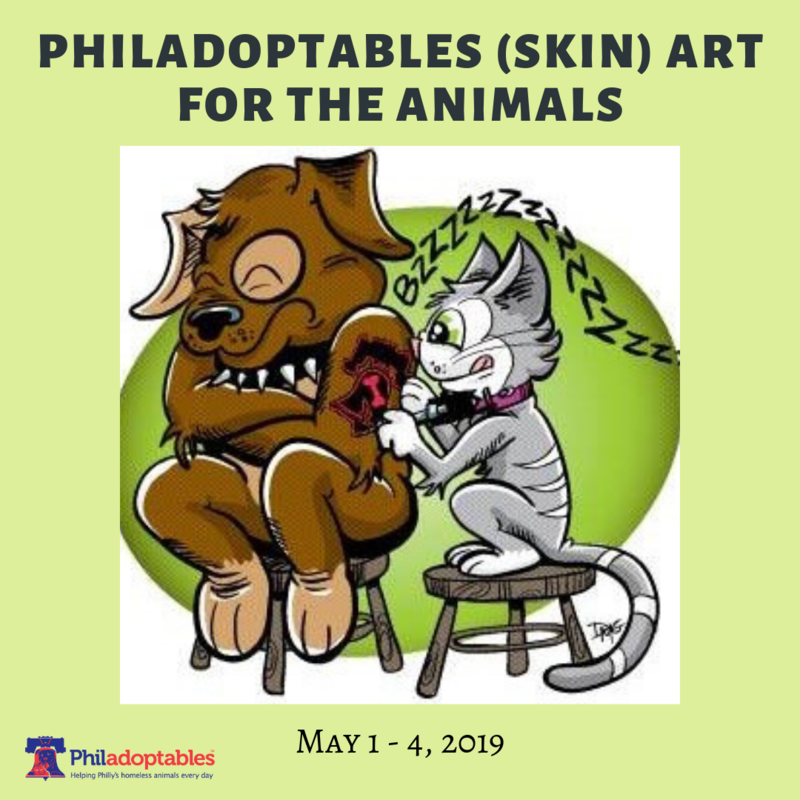 PHILADOPTABLES is hosting (skin) Art for the Animals – 4 days of tattoos and fundraising for Philadelphia’s homeless animals! We have 3 fantastic shops and their amazing artists ready to serve you Wednesday, May 1st through Saturday, May 4th. During these 4 days, these 3 amazing shops will be donating back a % of the sales to Philadoptables! Choose your shop by location or by the art you like. Each shop has provided a sheet of ‘flash’ (available April 1st) – the designs have different price points and for each tattoo, a donation will be made to PHILADOPTABLES! You can also create a design of your own! Simply call the shop of your choice to set up an appointment (or just walk in) Please LIKE their Instagram pages and support these great shops that support PHILADOPTABLES! And, be sure to post your (skin) art on our page! We want to see your ink! Appointments are encouraged!